2017 ended on a shawwpsome note! 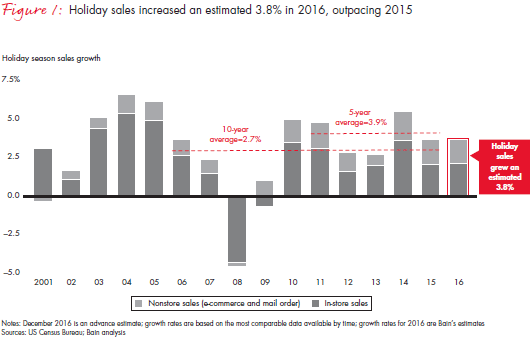 Black Friday and Super Saturday were the biggest days for overall earnings for retailers. Holiday Retail sales from November 1, till Christmas Eve were up 4.9% over last year, according to data from Mastercard SpendingPulse. That’s the highest rate of growth since 2011. Retailers can grow or fall considerably by their holiday performance — and with holiday sales anticipated to grow by as much as 4.5% in 2017 according to Deloitte, now is the time to begin strategising. What’s not surprising is that these numbers are boosted by a rise in electronics sales and online shopping. Keeping in mind the perspectives above, retailers have made some remarkable progress by adding some value-added features to their apps, web or mobile. They have also stuck to certain mobile campaigning and marketing strategies that landed them in the pile of profits. Did you by any chance miss out on touching that lucrative mark with your sales target during the festive season? Don’t worry! You still stand a chance. We went through specific market scenarios to bring you nine useful ways you can leverage to get an edge in sales for the coming holiday season. Ordinary discount notifications have become a cliched way to engage users. Doing something out of the box, that sets users to a whole different holiday mood will be amazing. One way to do this is to use graphic designing, to craft attractive discounts and promotions available exclusively to app users. Sending alerts to these users that there are special offers available to them for in-store use is a strategic way to drive traffic, sales, and over time, customer loyalty. Giving shoppers the ability to obtain in-store discounts through their mobile app makes retail marketing quick and price competitive. So this where you can get an advantage by serving your customers even before they hit your store! This is another awesome feature that will attract your customers like never before. When shopping online, having the ability to create an online wishlist for holiday shopping is highly desirable for consumers. 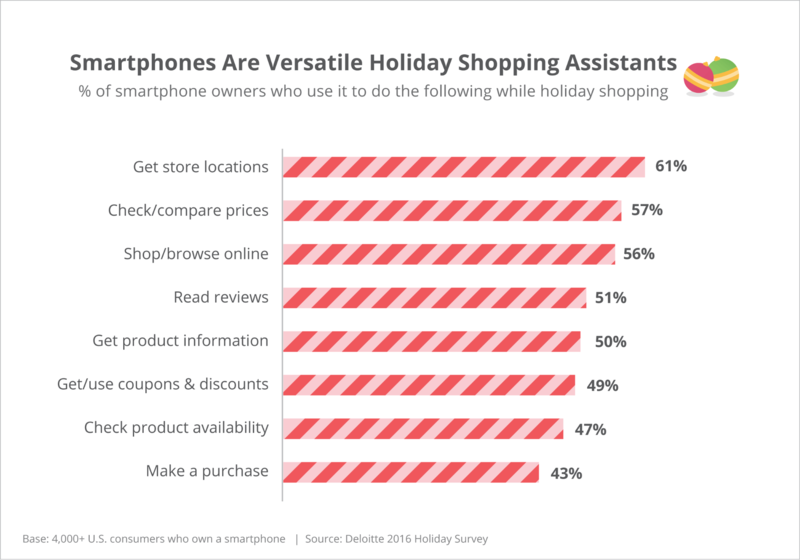 Holiday shoppers are looking for efficiency, instant discount updates – adding an easy to use way does just this, decreasing friction and improving the likelihood of a change. Making a holiday wish list will help your customers keep a list of things that they need specifically for the big days at hand, giving them the space to make instant purchases. The online retail shopping through mobile apps has extended to in-store buying as well, making it an excellent way to sell your products during the holiday season. During the holidays, the number of self-shopping customers outnumbers shopping with sales associates by substantial ratios. So offering customers a means to find what they are shopping for, without having to see an available sales associate, will improve their shopping experience by making their path to purchase become more efficient during the holidays. 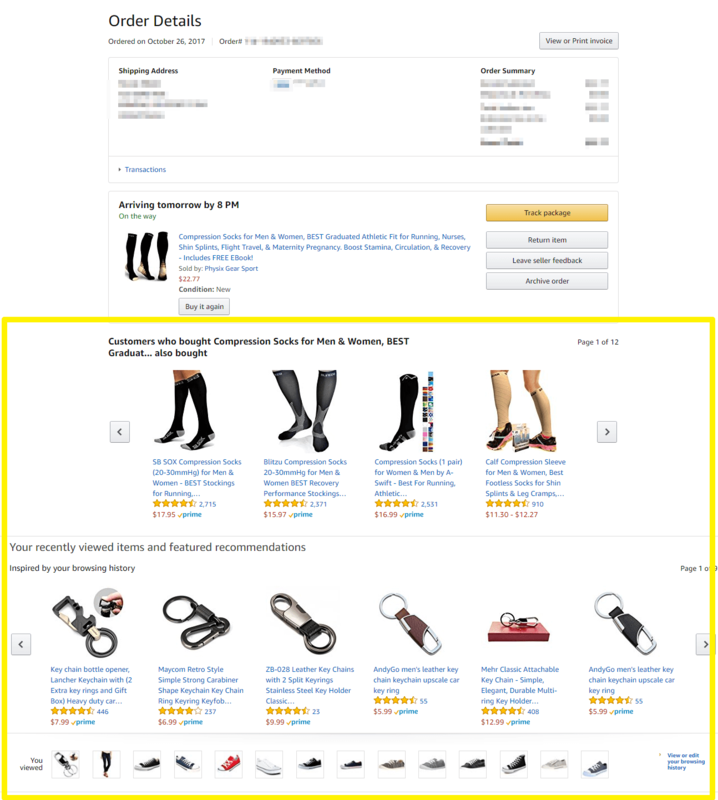 Generic holiday product searches will return search results that specify available types and brands. 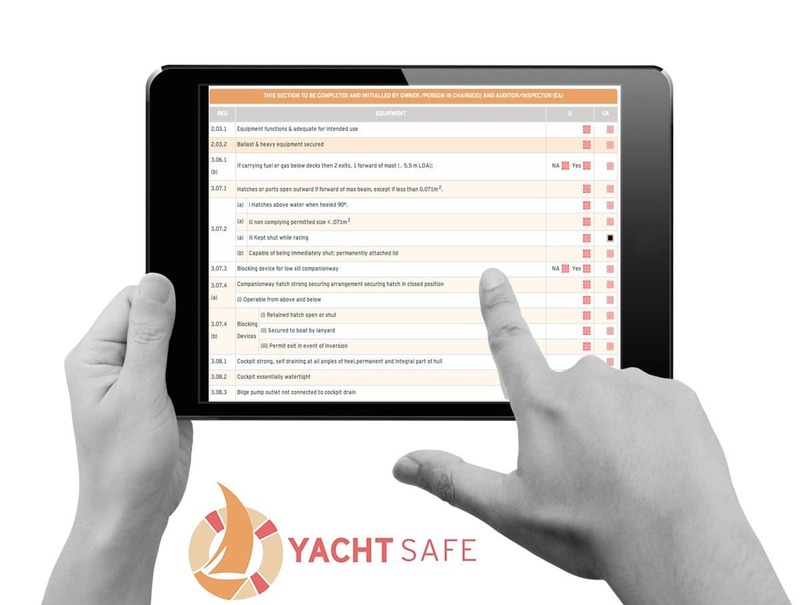 App users can then glance the section and product number for each result, and then select to map a product for navigational assistance or choose to add it to a shopping list. You can also include coupons and offers. The application surfaces offer available at your stores and highlight them in the offers portion of the app. Consumers start looking for holiday gifts as early as October. They need detailed product information and personalised customer service just a click away– and the more valuable the item, the more time they spend examining before making a decision. So it is recommended to be “research-ready” by October. One way of doing this is by having product details, pricing, and other relevant information readily available on mobile apps. Retailers can also incorporate QR codes into their products and in-store displays so shoppers can easily access product details on their mobile devices. Offering customers quick and easy access to product ratings and reviews while shopping in-store can even mitigate return rates. Armed with the right data, customers can make better-informed purchasing decisions and dodge away from a negative experience. Keeping low return rates through the first quarter can balance significant savings for retailers – and that alone can explain investing in a mobile app. Retailers want to take complete advantage of possible impulse buys during the holidays. Although, a hiccup in the checkout process can make a difference during a transaction leading to a missed shot. 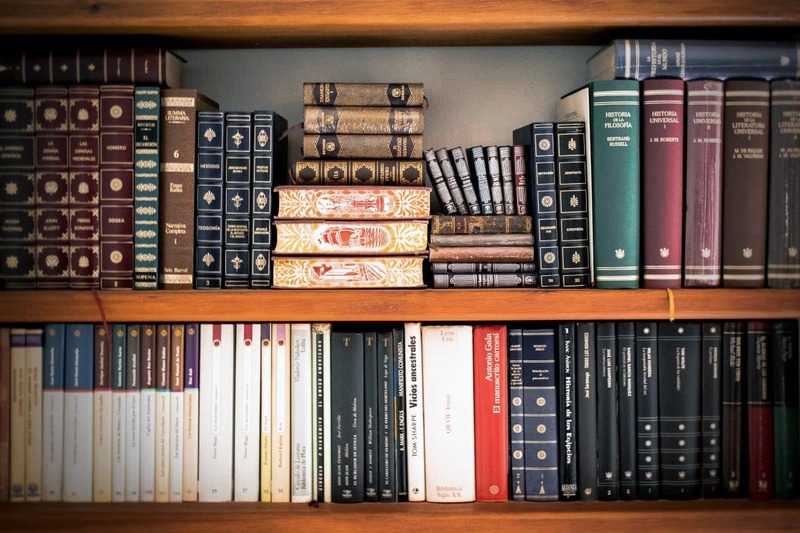 Any complication or delay during that period can add an element of unpredictability that leads to second thoughts and, ultimately, lost sales. With retail mobile apps, the goal should be to create a smooth, quick and error-free ordering and purchasing process for customers. Shopping becomes an experience, especially during the holidays. 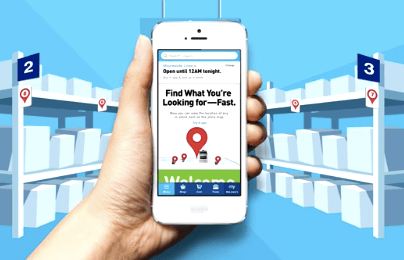 Brick-and-mortar retail locations let the shoppers meet and feel the product they want to buy and mobile apps are part of the discovery method — the lens into new exclusive products that attract consumers to brick-and-mortar locations. 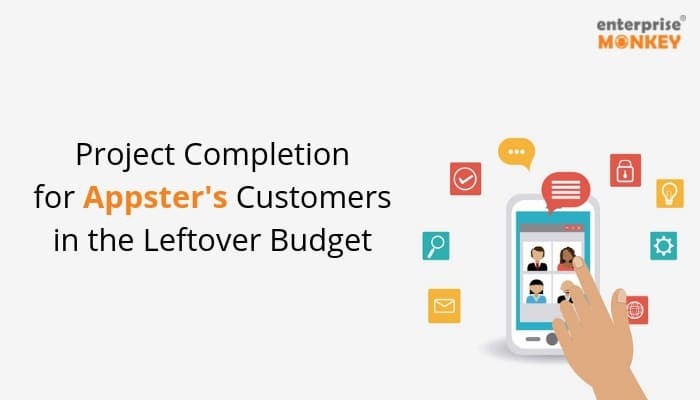 But, if a store’s inventory is out of sync during the crucial days with what the app says, customers will quickly become irritated due to their wasted valuable time due to drive to a store as the app shows the product in stock only to find it isn’t. This way, when a customer enters a store, there exists a higher probability that their preferred holiday style, size, brand, etc., is in stock and known beforehand. This holistic approach enhances the customer experience from mobile to brick. 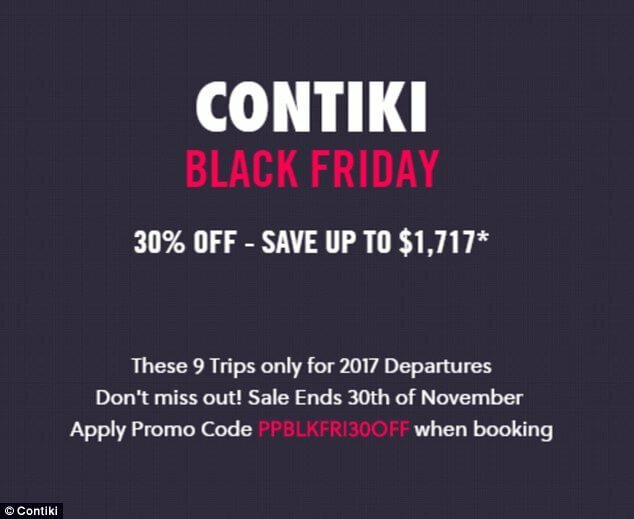 This assures them that you’ve been with them all through the year, ever since their last holiday purchase. Using reference points during holidays can help retailers mix the advanced and physical shopping background amid the Holiday season, empowering in-store push warnings that are customised to clients given particular interests and practices, the area inside the store, buy history, and that’s only the tip of the iceberg. While you integrate beacon in your app, your customer will be able to receive all holiday offers as soon you reach the requisite range. They also have the ability to recognize devices based on their location and previous interactions, enabling them to send relevant and location-specific messages to different devices. As retailers look for inventive approaches to increase deals amid the Holiday season, versatile applications need to stay on the radar – notwithstanding this time, after that for next. 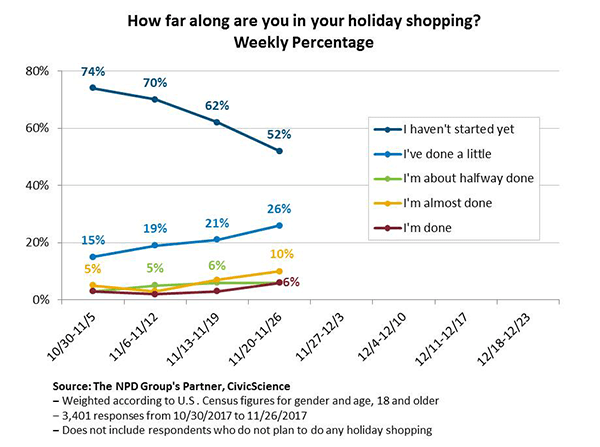 A survey by NPD observed that as November came to an end, just 6 percent of shoppers say they had finished their holiday shopping. That keeps a majority of purchases to be made at the last minute. People have seemed to go bonkers over instant shipping, same-day shipping, in-store order pickup are all easy ways to get last-minute gifts. 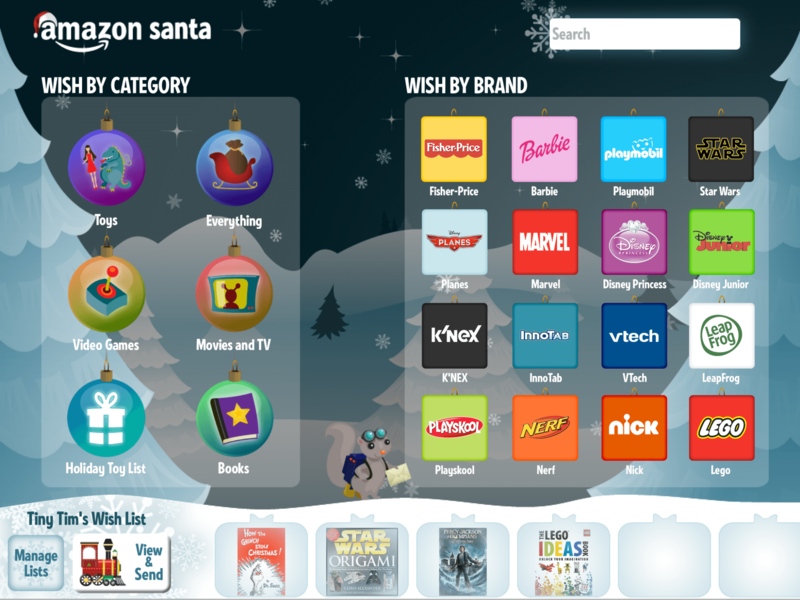 Digital gifts are a new buzz for last-minute shoppers. So ensure you provide your customers last minute offers, easy purchases and also quick deliveries. The value that mobile apps provide retail customers is massive. Being a critical part of engagement in today’s retail world, their popularity is only going to grow. There is no magic potion that applies during the holiday season; things just get more critical due to massive demand and heavy competition. A strong mobile-first approach to the looming holiday season can be your hack to not only meet but exceed customer demand and set you up for success in 2018. Retailers who don’t invest in their mobile customer experience are not only losing potential revenue, they’re missing out a lot in terms of brand value, customer loyalty, and missing the chance to understand customer behaviour on a large scale. 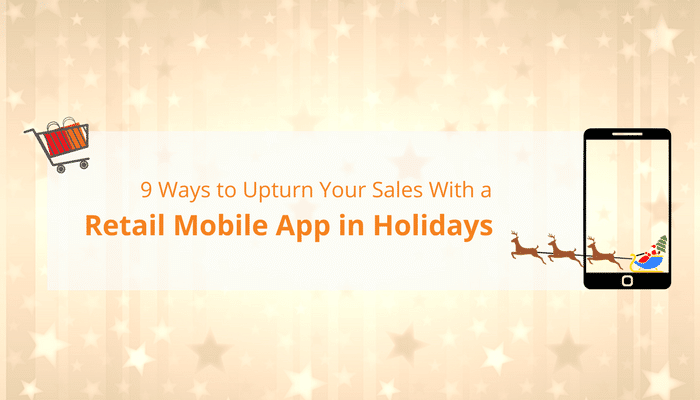 Don’t be one of these people and get your holiday season sales growth with an app. Get in touch with your developers today!